The most profound commissions will almost always be private landscapes. 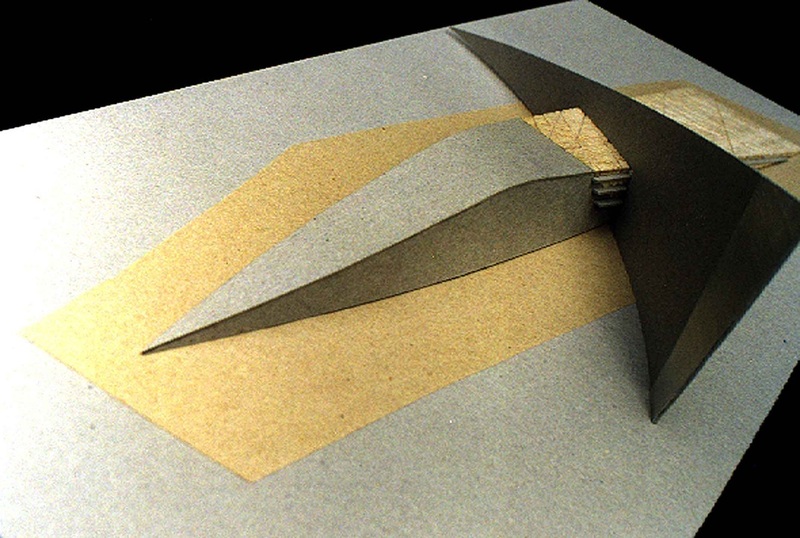 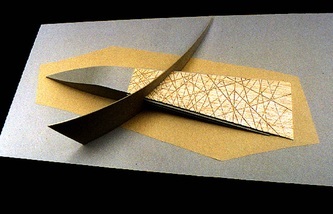 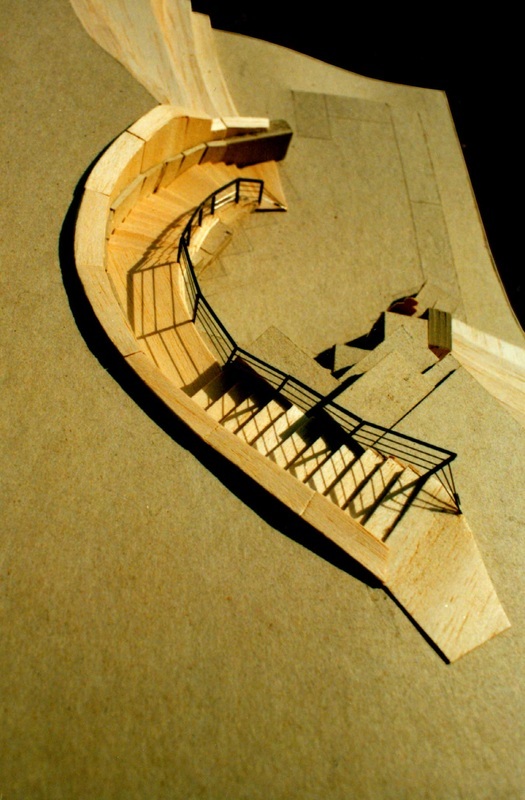 They involve an intense and continuous collaboration between the client and the designer, and the results are in flux until the last tool has been wielded in the construction of the project. 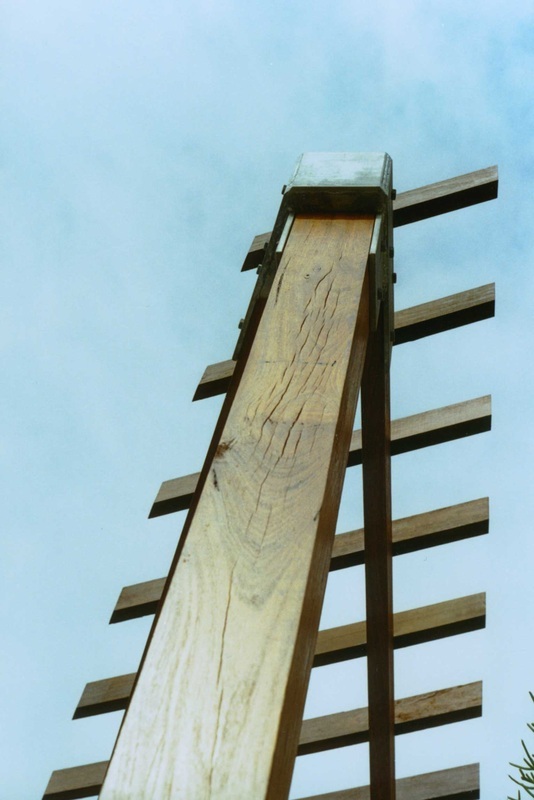 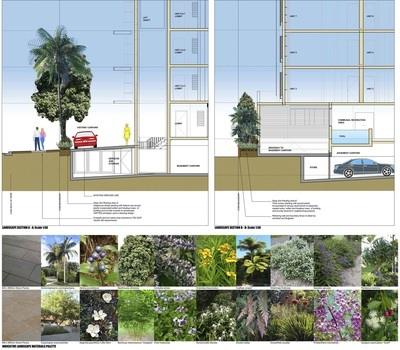 I work very closely with the client to ensure the best possible outcome with the resources available to them, providing the ultimate value for money in guiding the design and construction process through all the complexities that can be thrown into the path of the project. 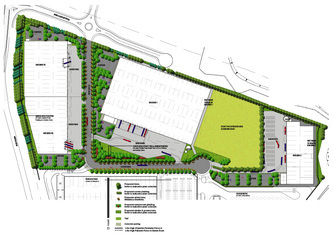 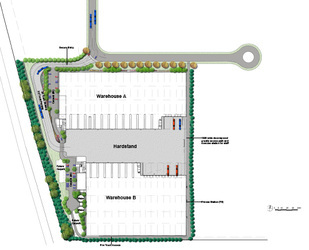 A proposed multi-unit residential development. 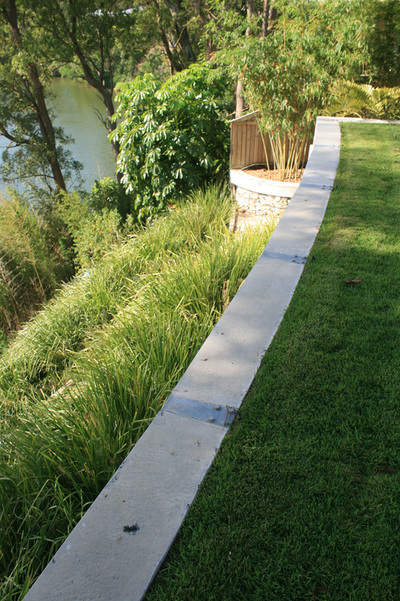 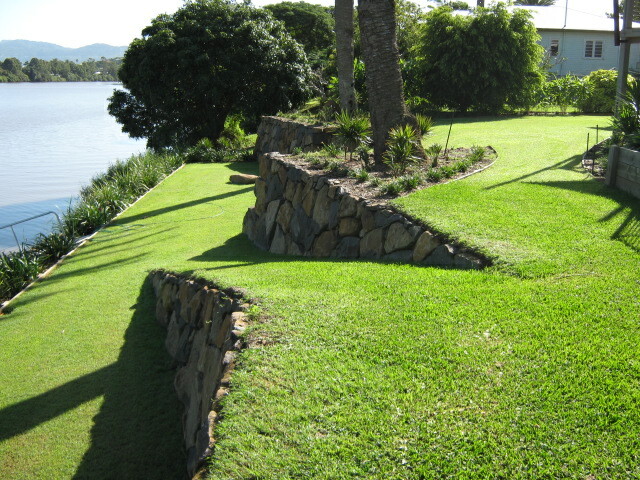 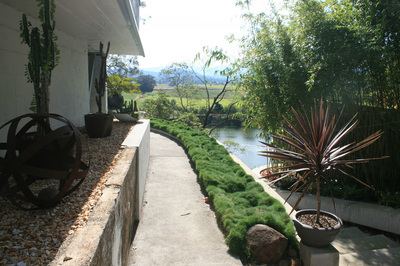 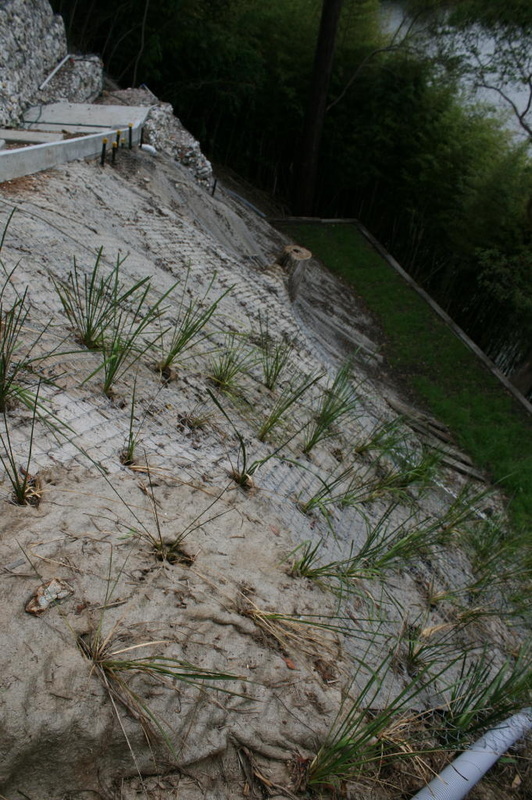 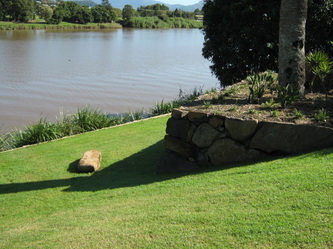 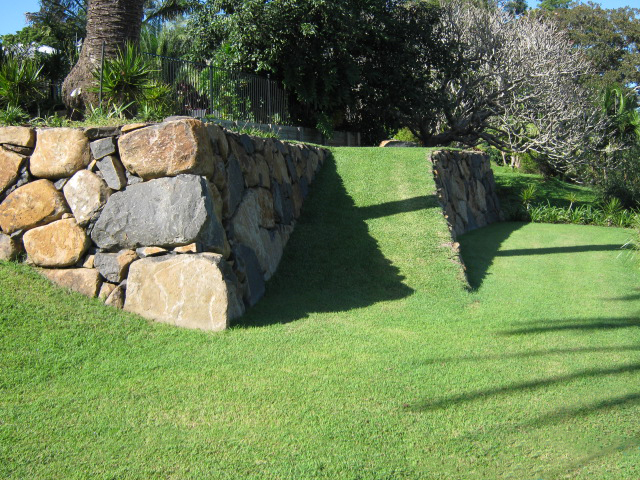 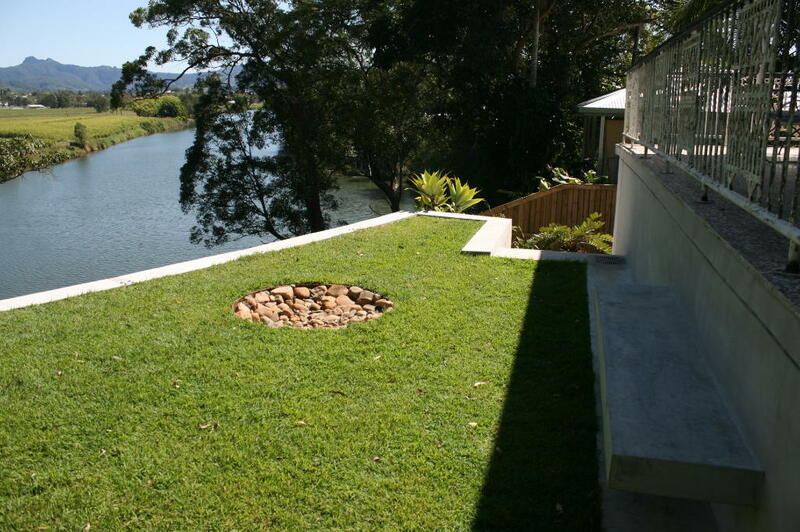 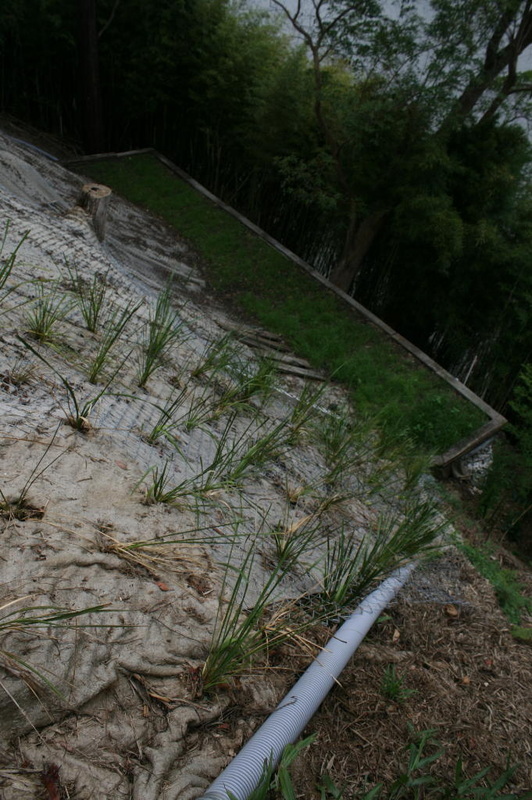 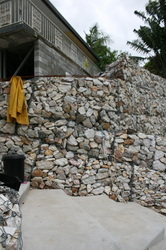 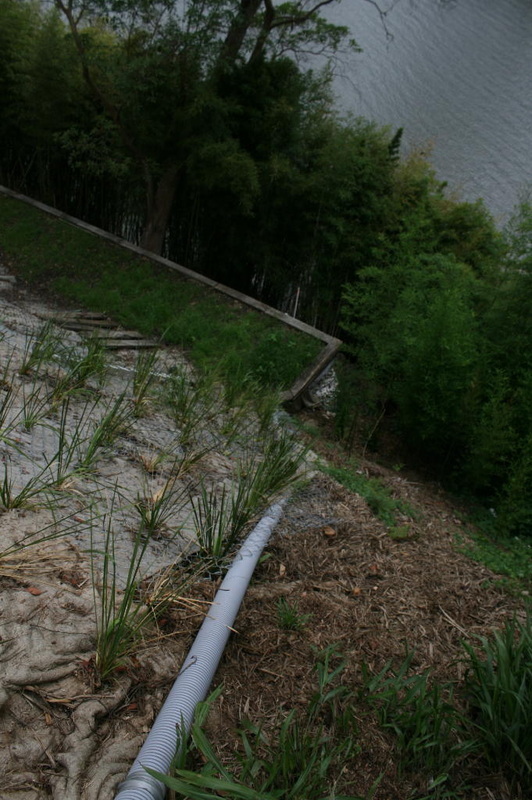 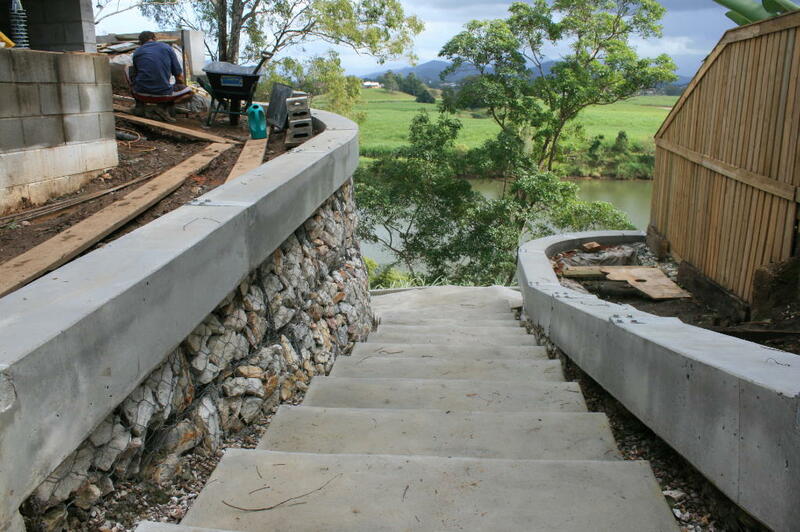 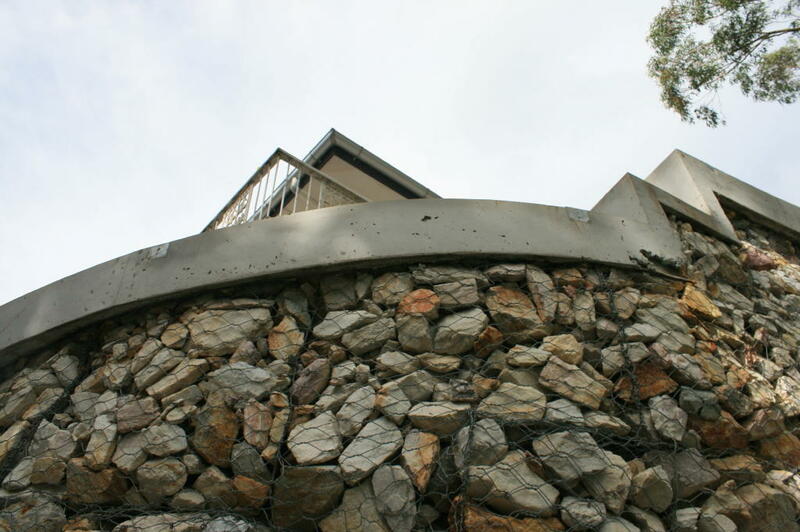 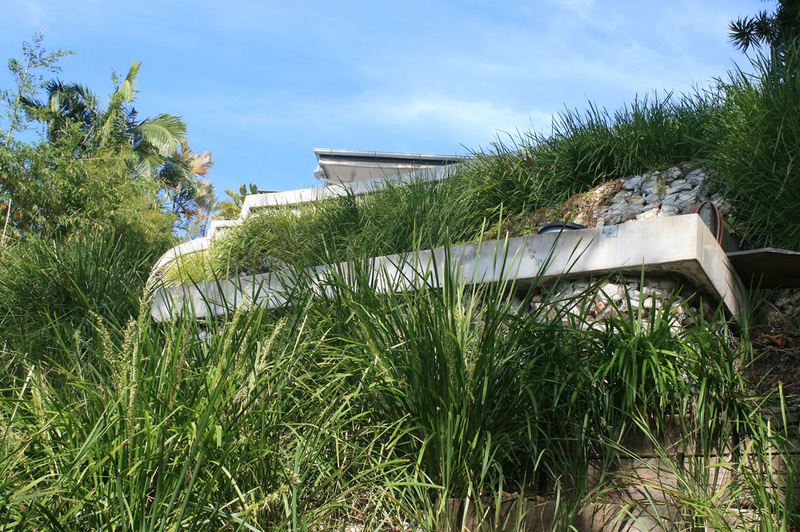 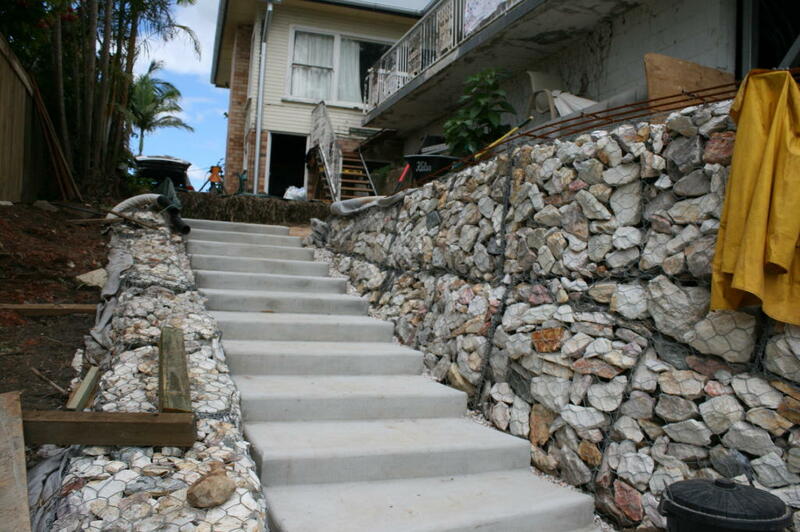 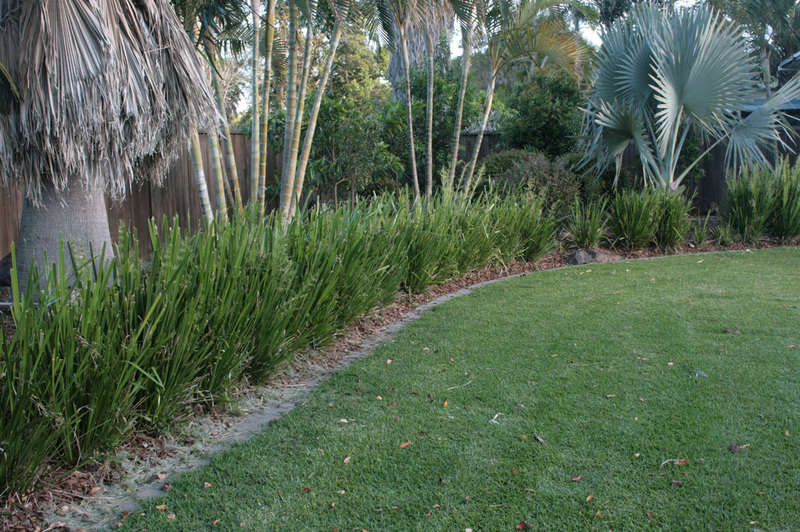 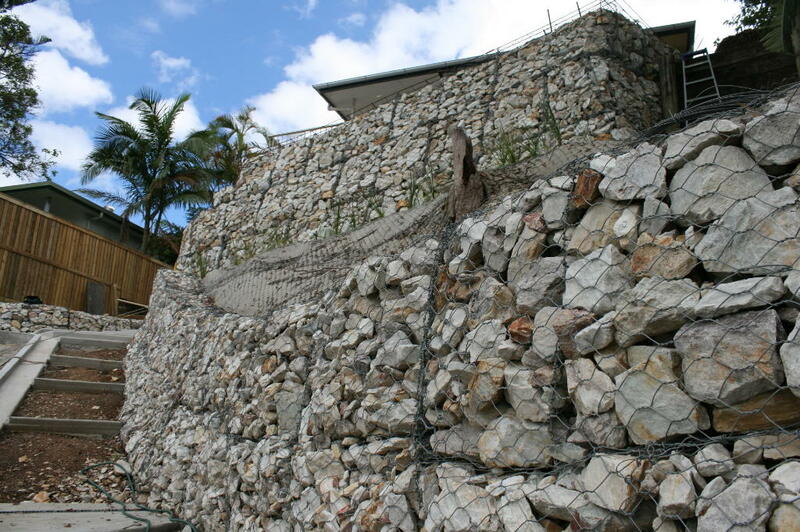 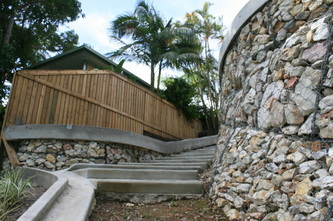 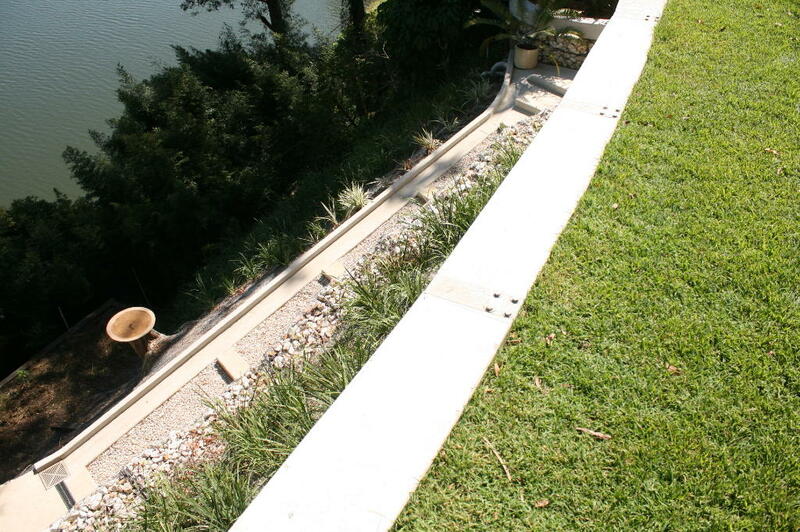 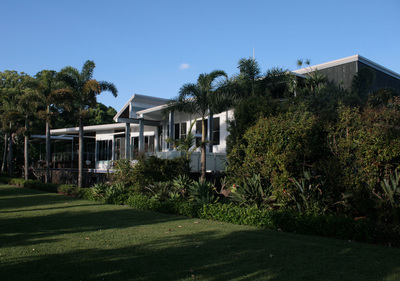 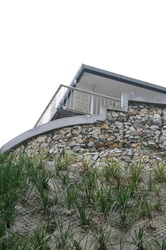 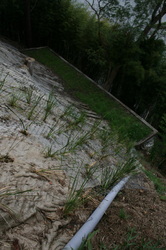 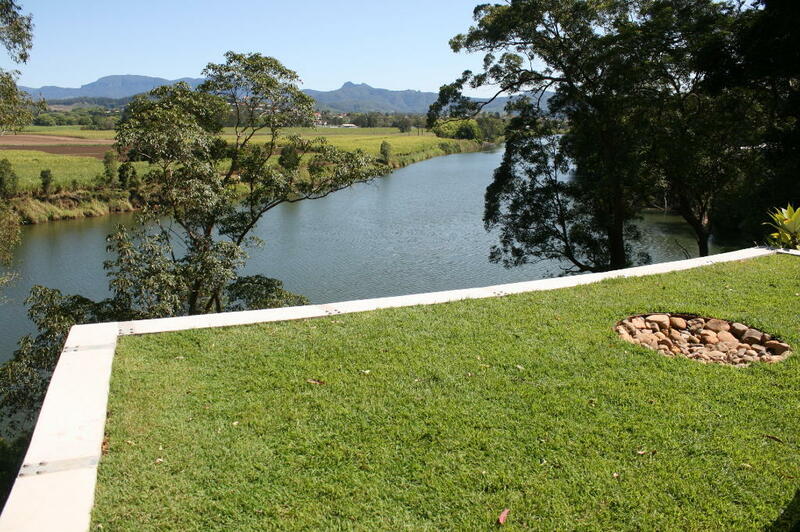 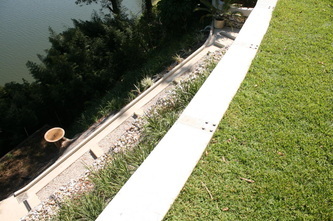 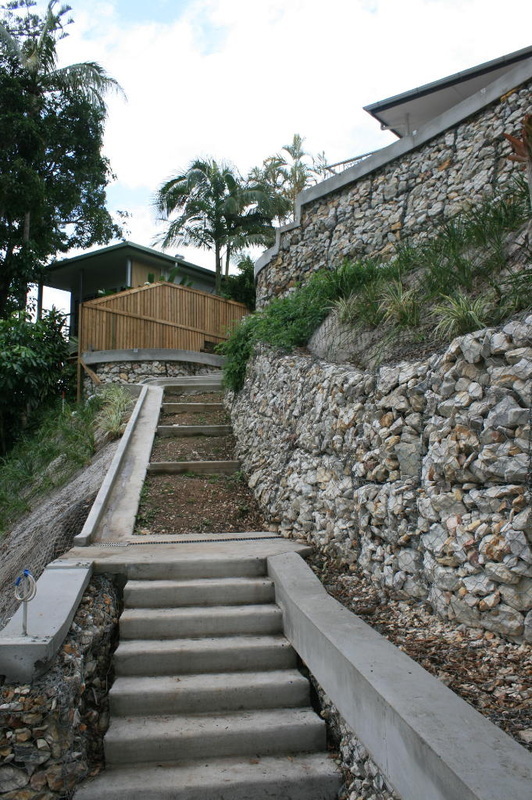 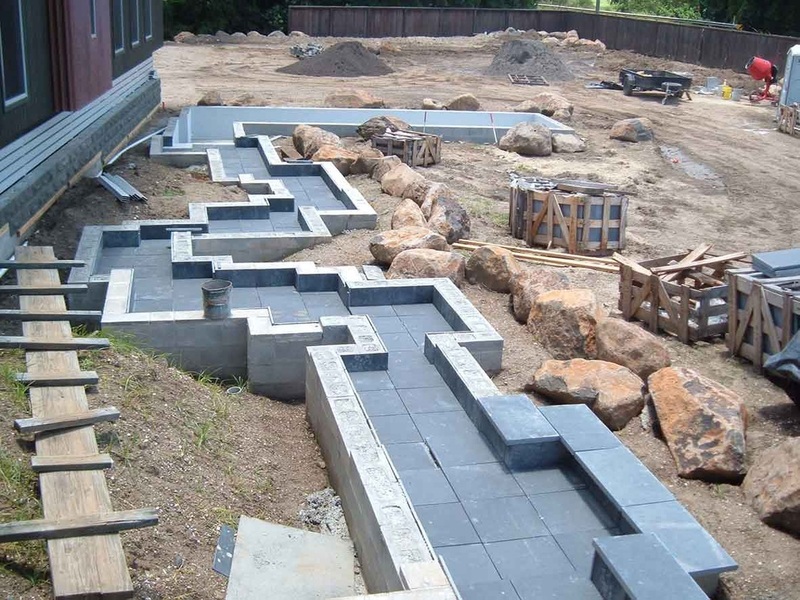 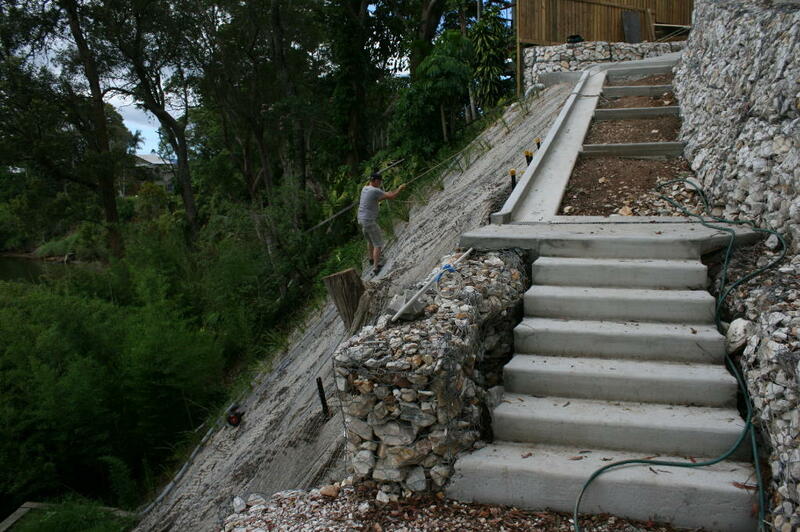 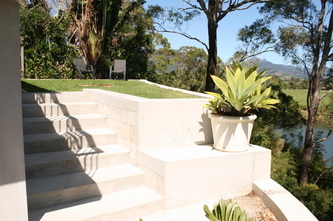 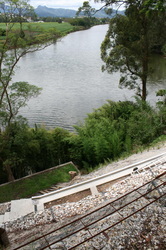 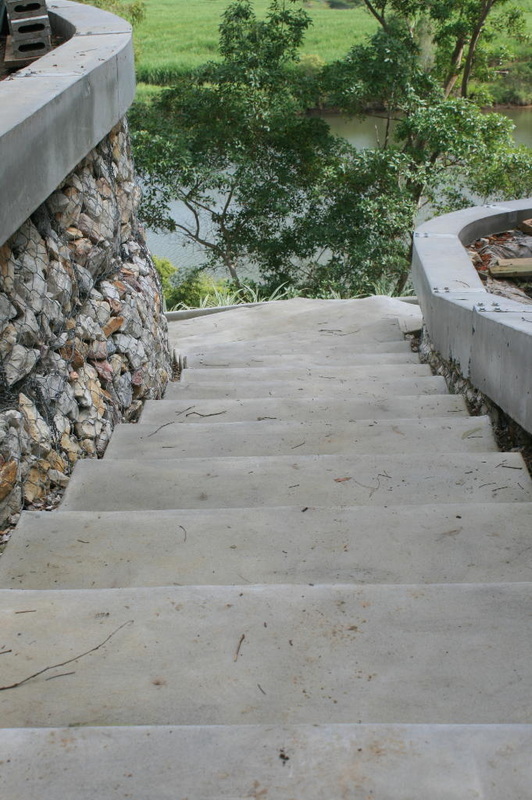 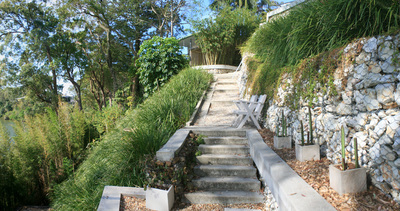 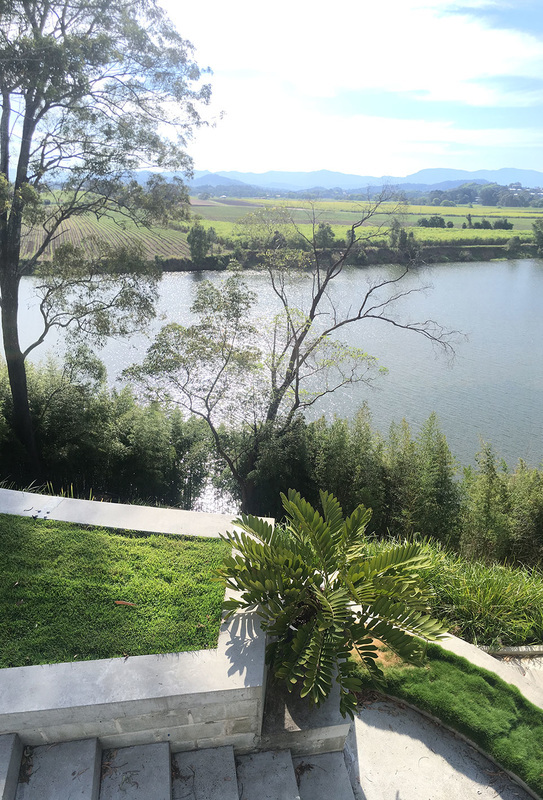 A mass gravity retaining and access structure on an unstable one-in-one slope between a house and the Tweed River. 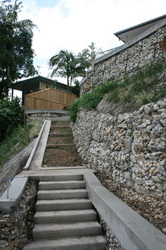 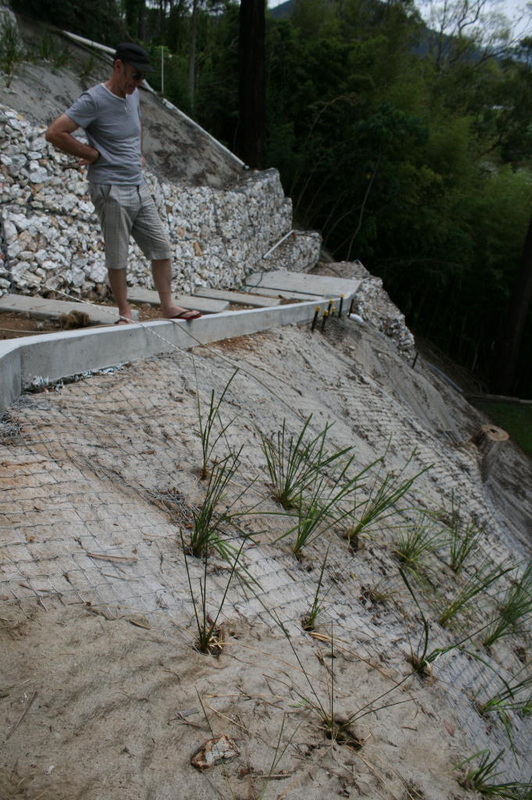 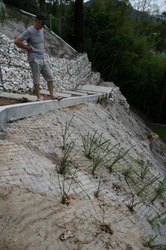 New terraces were created and paths and steps cut into the slope to dramatically increase the useable space on this very steep site, including improving access to the river. 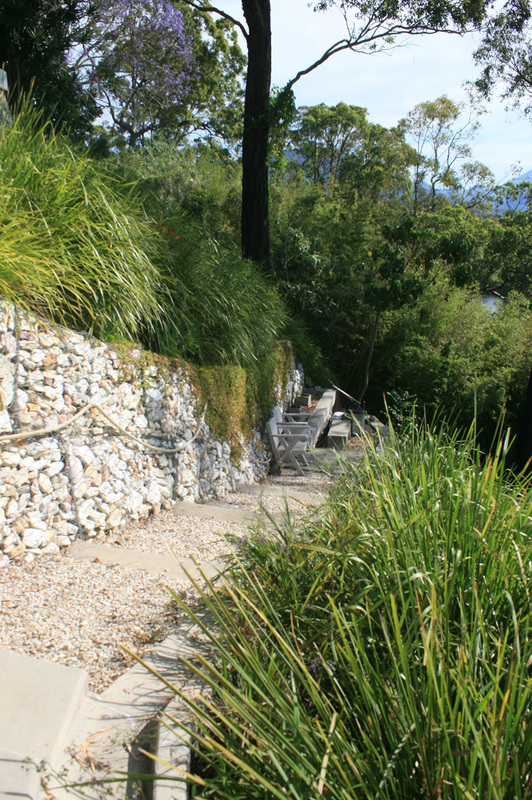 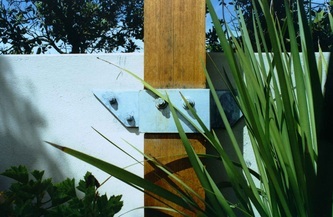 Horizontal and vertical surfaces juxtaposed and working to a programme of access and maximum usable space in a small backyard overlooking the Tweed River. 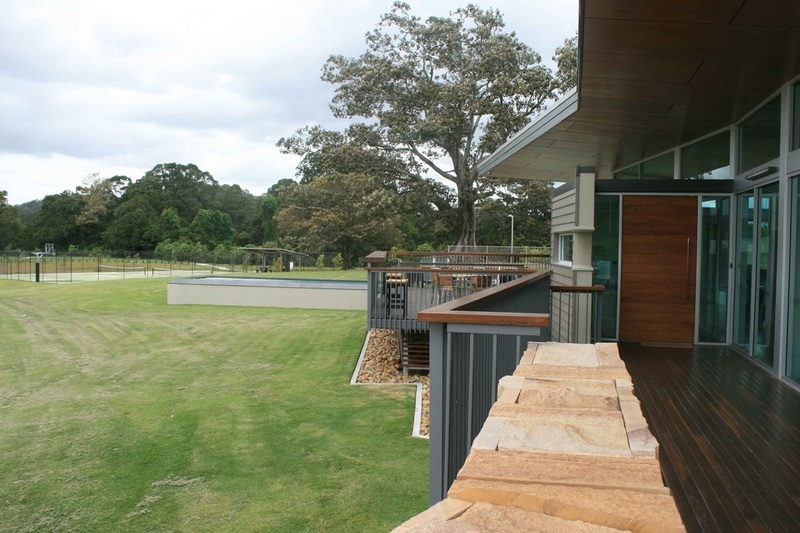 A big landscape and strata titled community social and recreation facility using big geometries on a small budget. 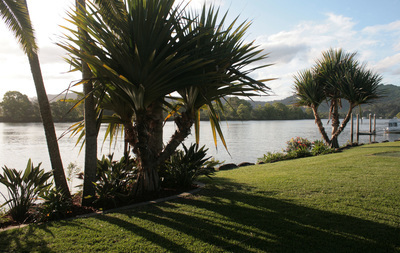 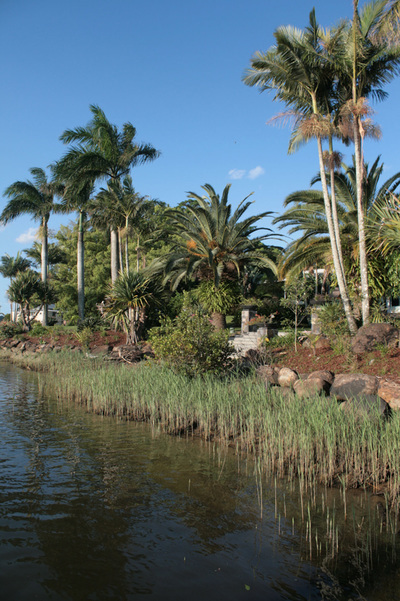 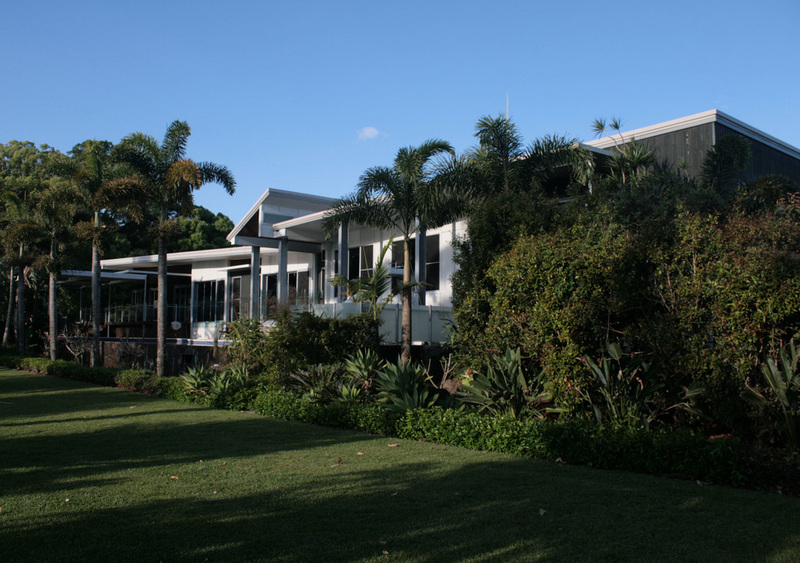 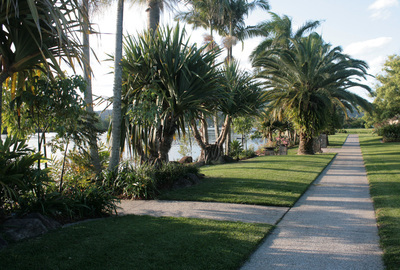 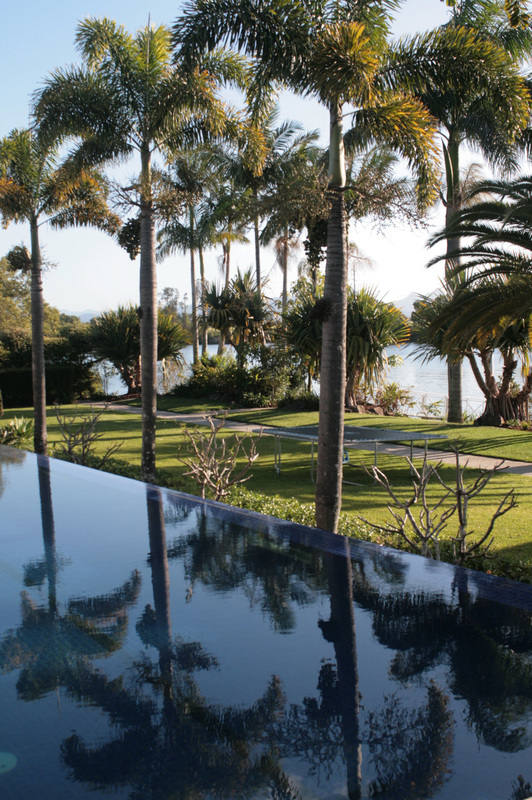 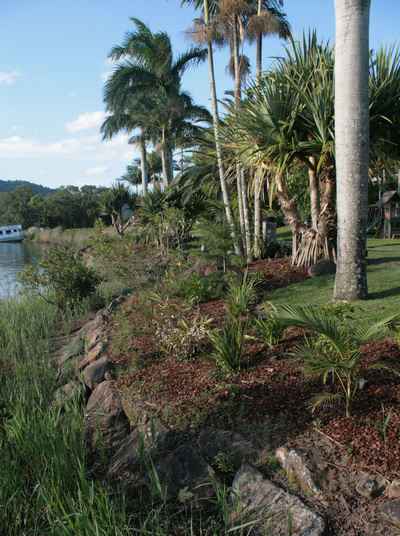 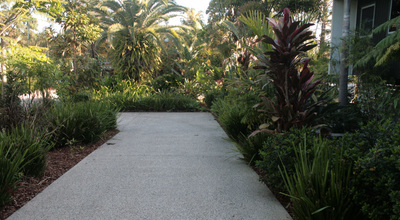 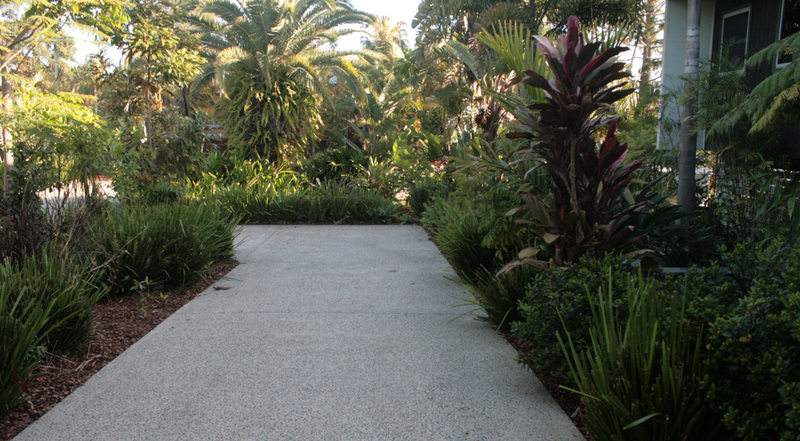 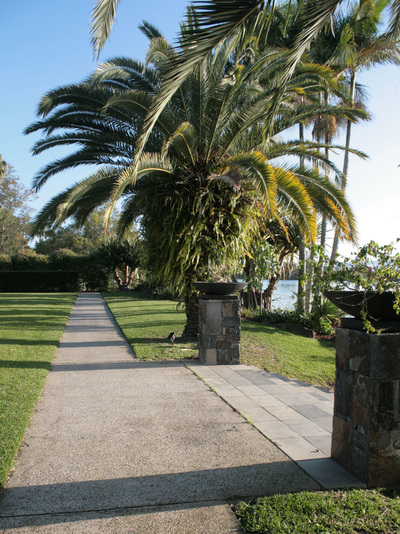 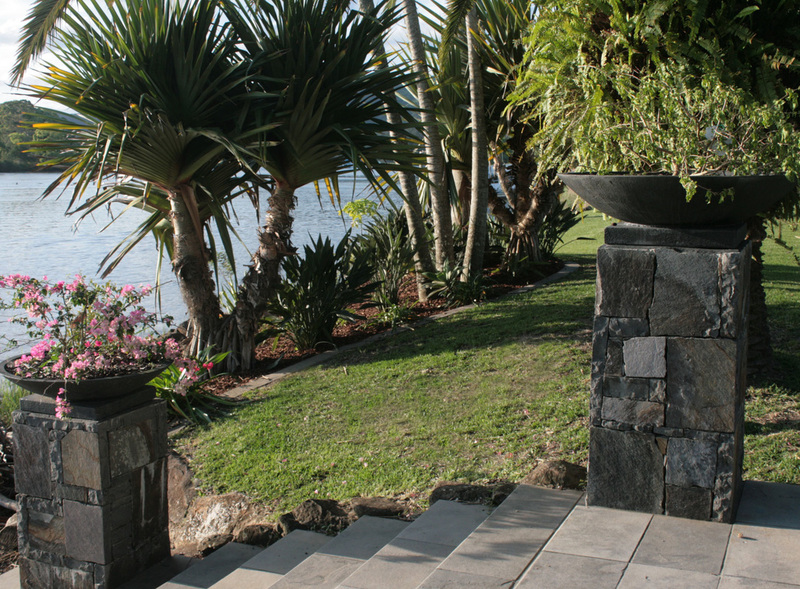 A formal subtropical pleasure garden on the Tweed River. 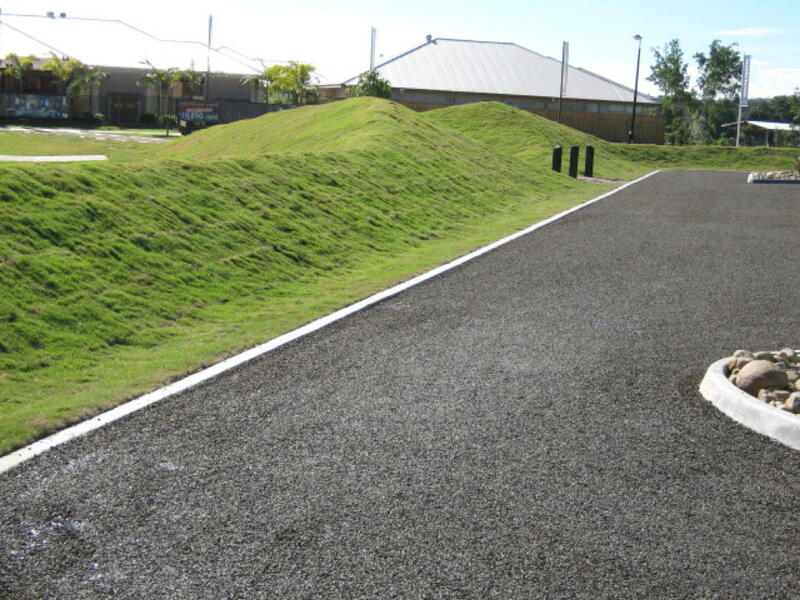 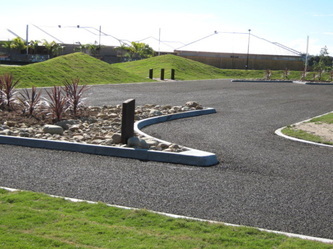 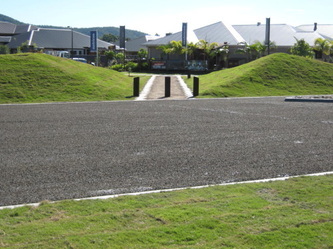 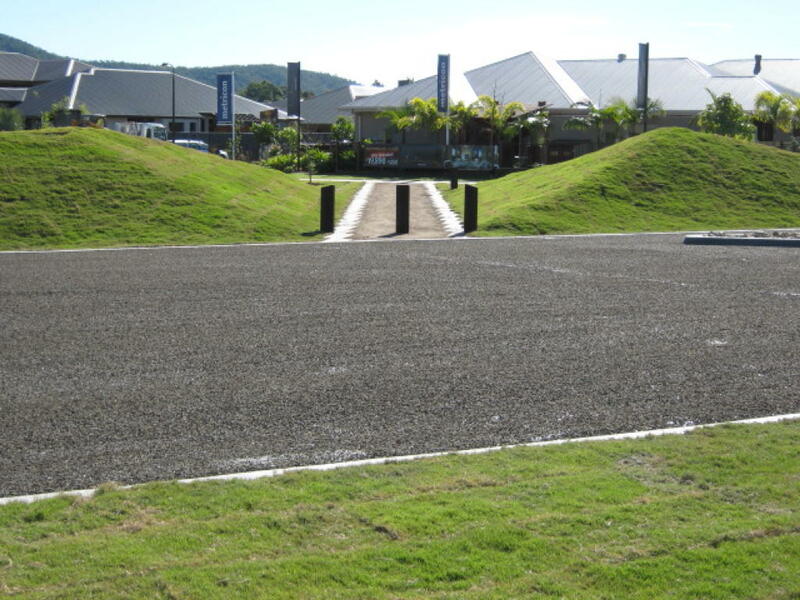 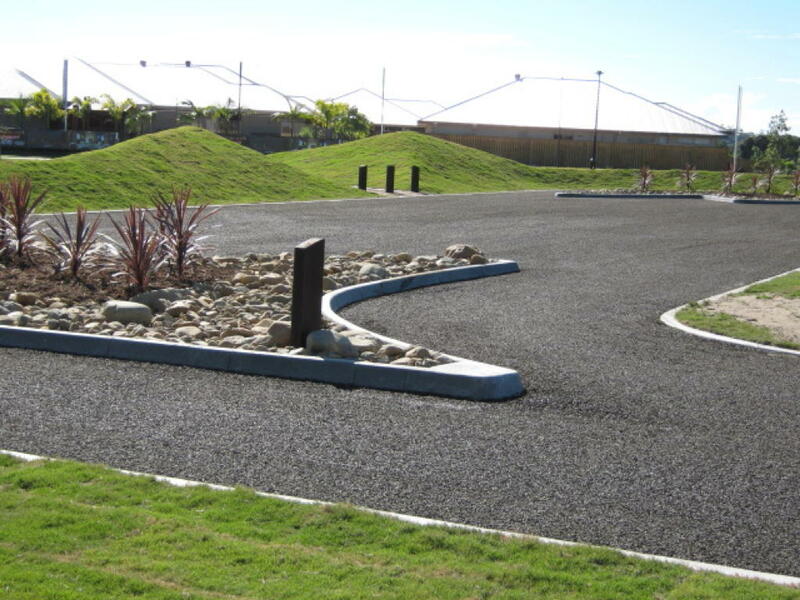 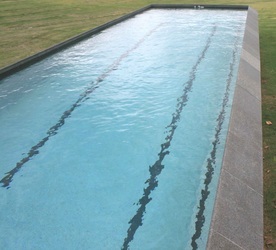 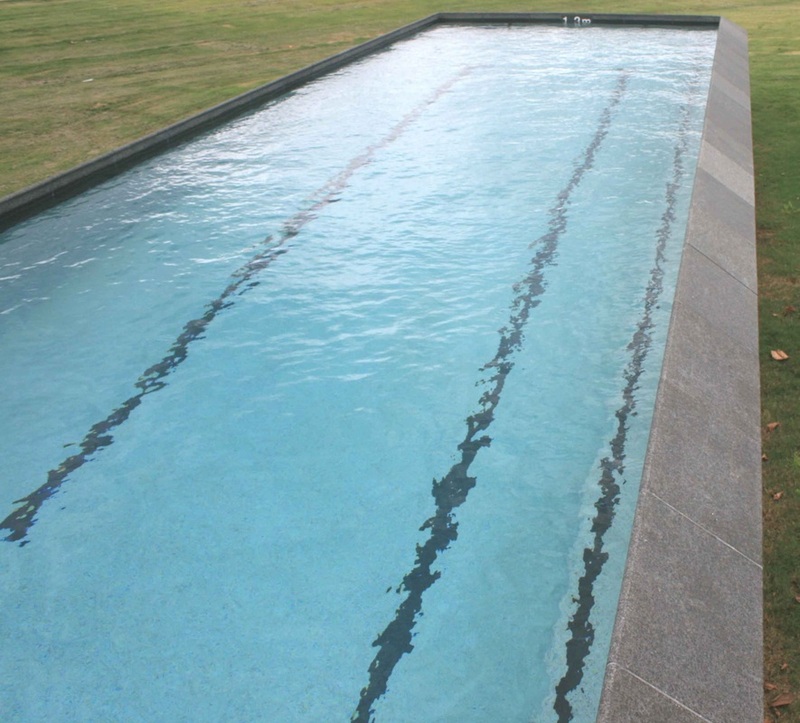 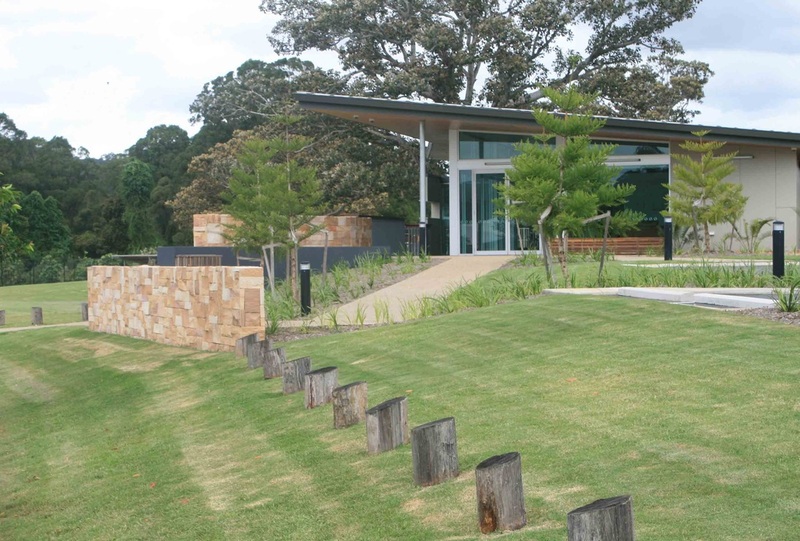 This commission included an extensive approvals process including an integrated Development Application to cover riverbank stabilisation works, a small private beach, a pontoon jetty and a boat ramp. 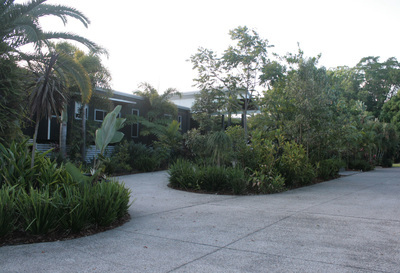 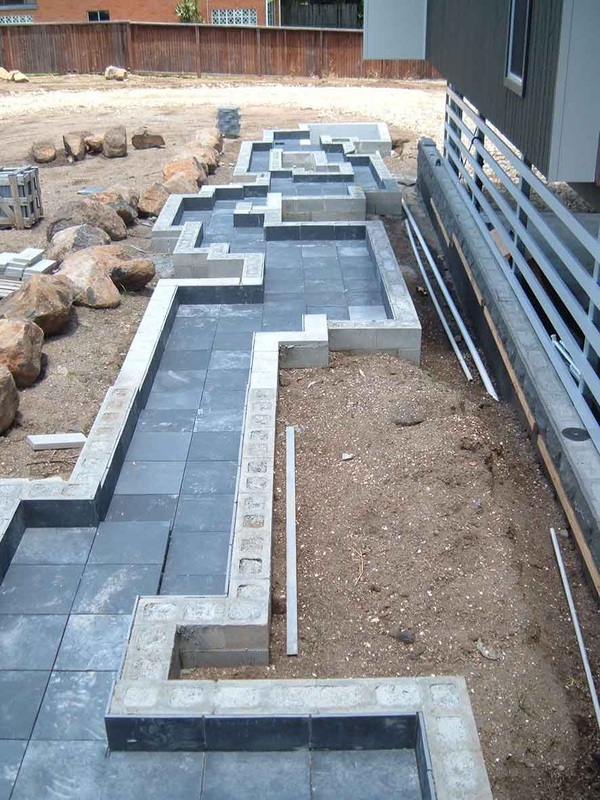 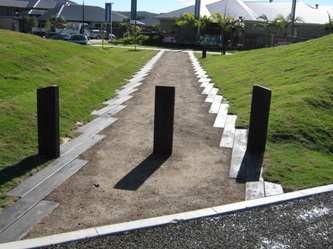 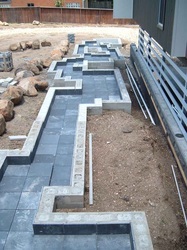 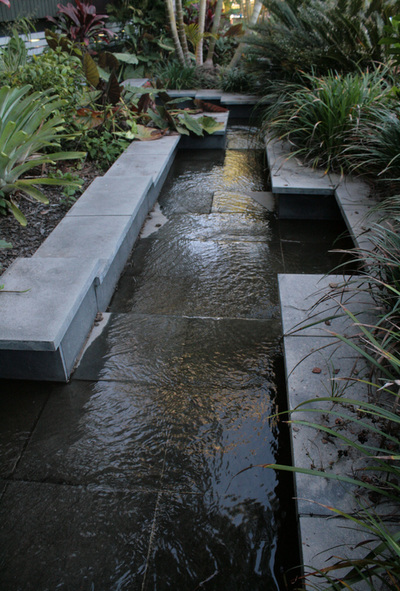 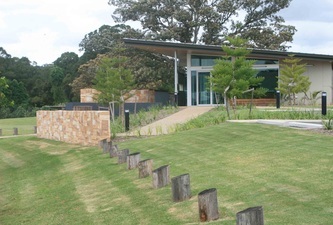 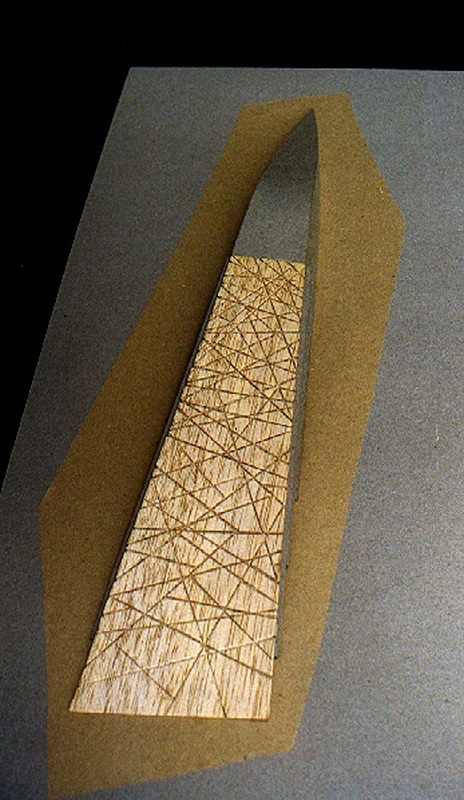 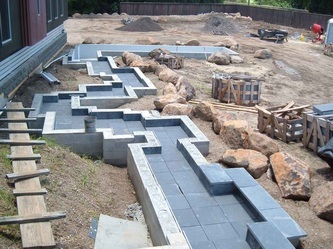 A geometric 'creek-line' water feature with large fish ponds at each end flows from the front entry bridge. 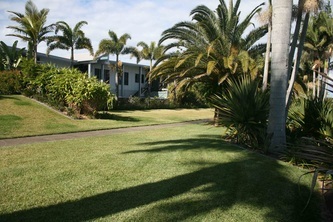 Large advanced trees and palms were sourced. 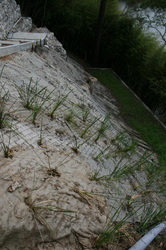 Careful grading of the site ensured flood water could be carried away easily. An extensive planting palette has been developed in continuing consultation with the client since the garden's framework was established. 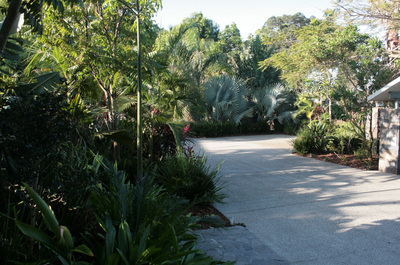 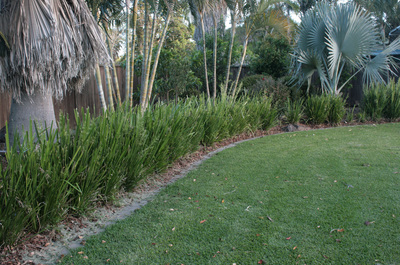 Many of the larger broad-leafed tress were planted as tube stock and have now really filled out the garden. 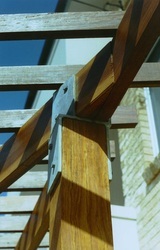 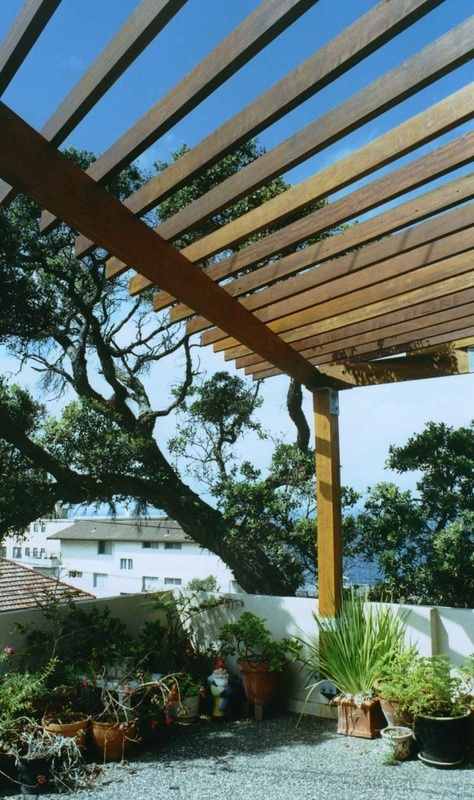 A terrace on top of a street level garage to a nineteen sixties block of flats, overlooking the Pacific gets a new pergola. 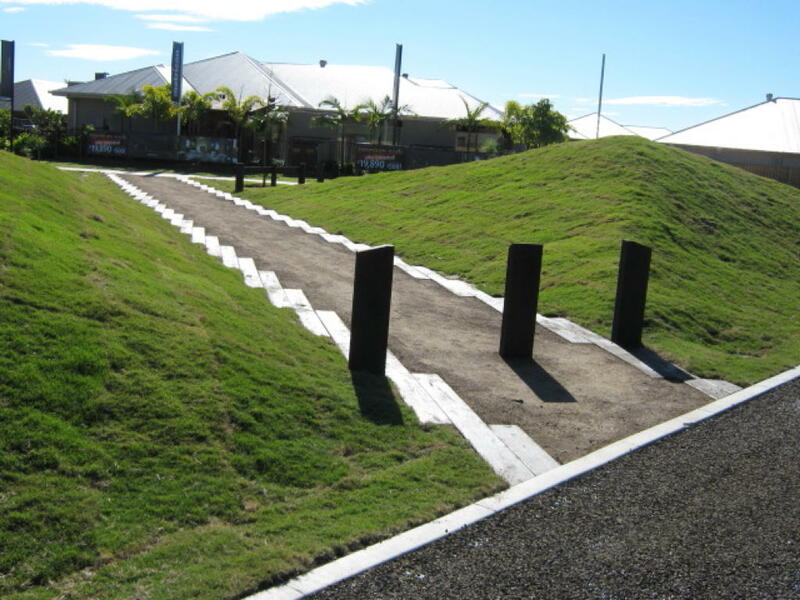 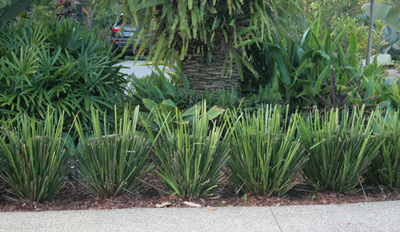 Big, geometric plantings of indigenous species for big, geometric industrial landscapes. 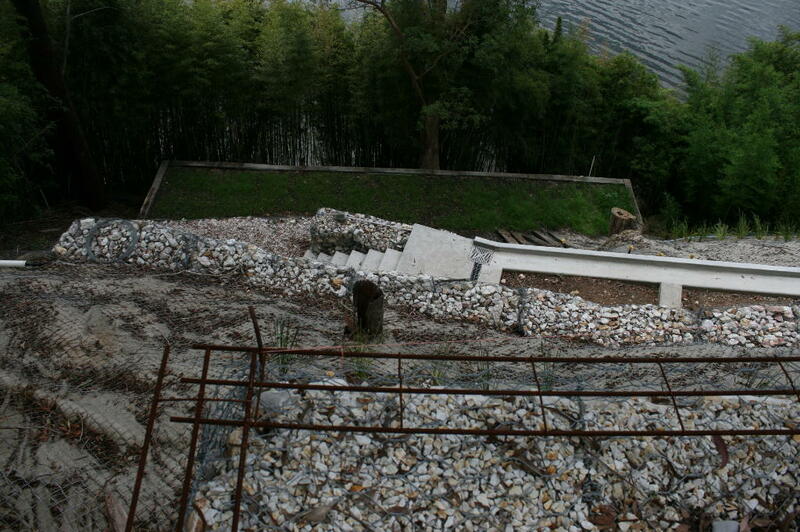 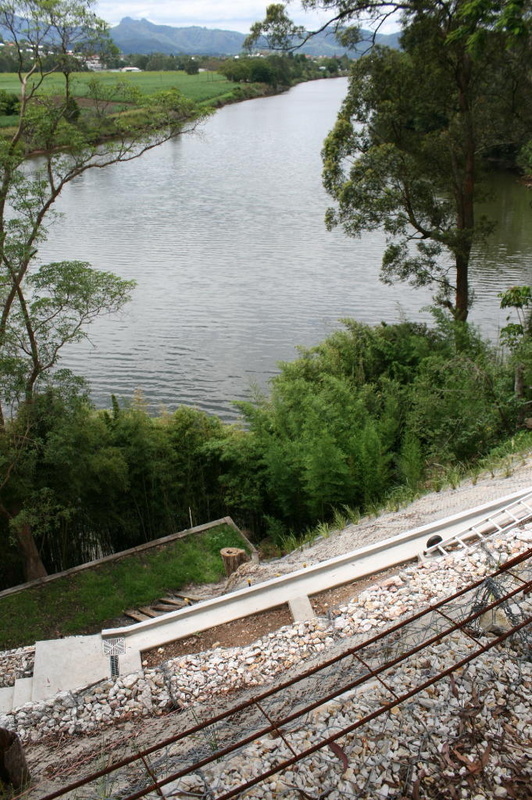 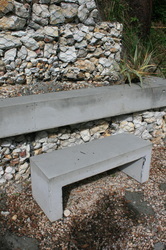 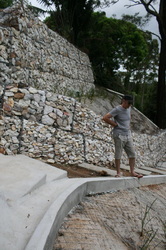 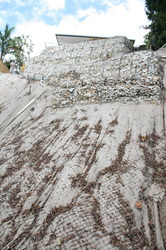 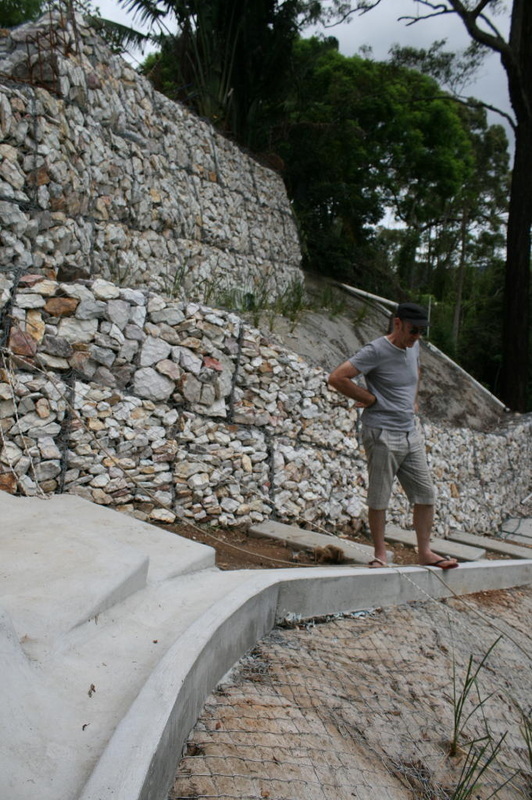 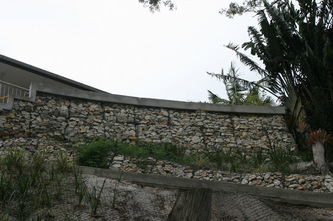 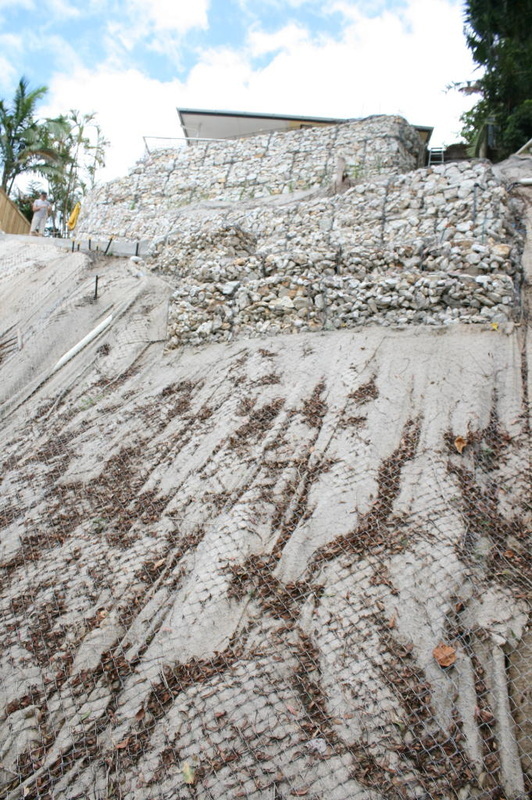 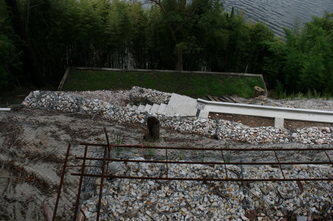 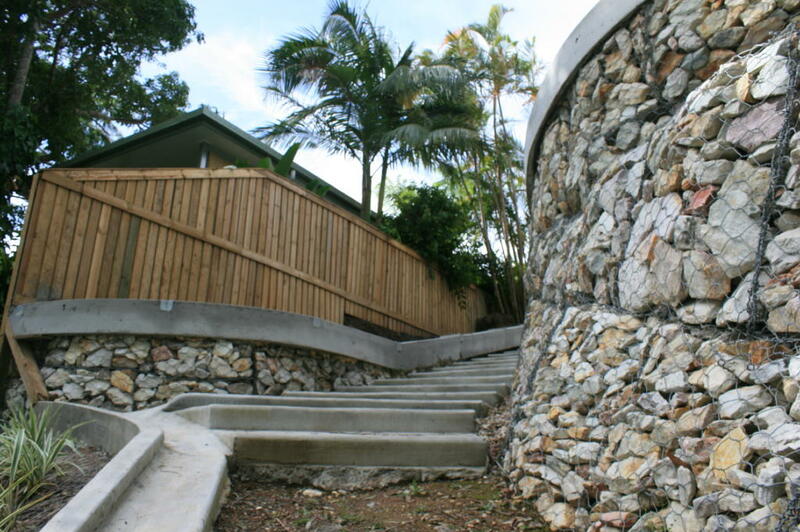 A landslip is redesigned as a gabion amphitheatre. 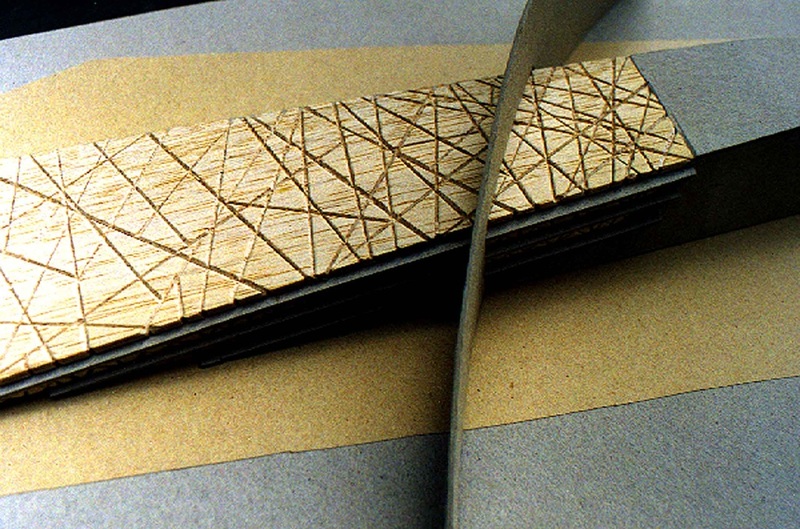 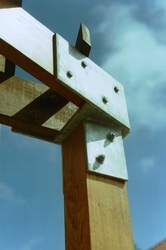 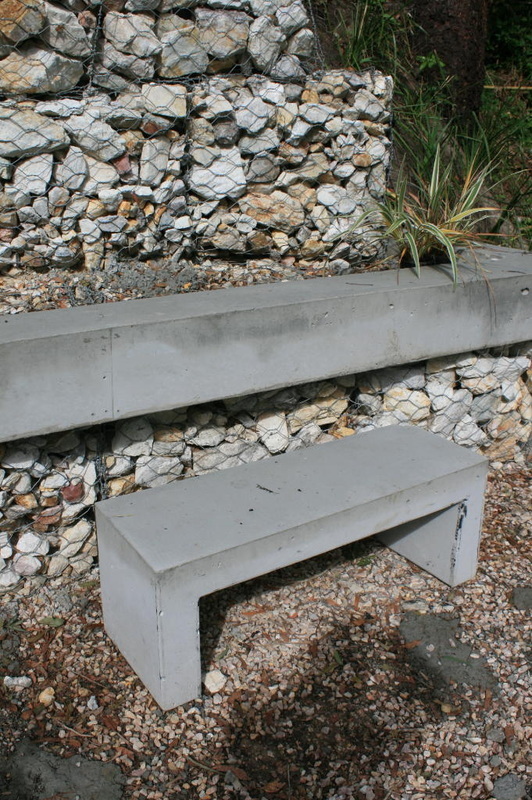 A long sandwich of the various hard by-products of smelting and rolling steel rise from the earth and look as though it might fly, tipped with a concrete beak and a corten and stainless wing.